“I can do it. I can help,” is the mantra of Christy De Souza. The 28-year-old worked as a trainee at the Office of the Prime Minister (OPM), where her duties included sending and receiving e-mails; scanning documents; photocopying and shredding documents; packaging and labelling; making, receiving and forwarding calls; and retrieving and distributing stationery and other office items from the stock room. De Souza was born with Down Syndrome, a congenital disorder caused by a chromosome defect, resulting in intellectual impairment and physical abnormalities, including short stature and a broad facial profile. The disorder is caused by a mutation in cell division during the early development of the foetus. “I enjoy my job. I have made many friends and the people at work make me feel like part of a team. They are nice and they help me,” De Souza told Business Day. She has done three three-month stints at the OPM, and has worked in the child affairs unit, general administration and the communications unit. She is waiting for her contract to be renewed, but she has a good chance. 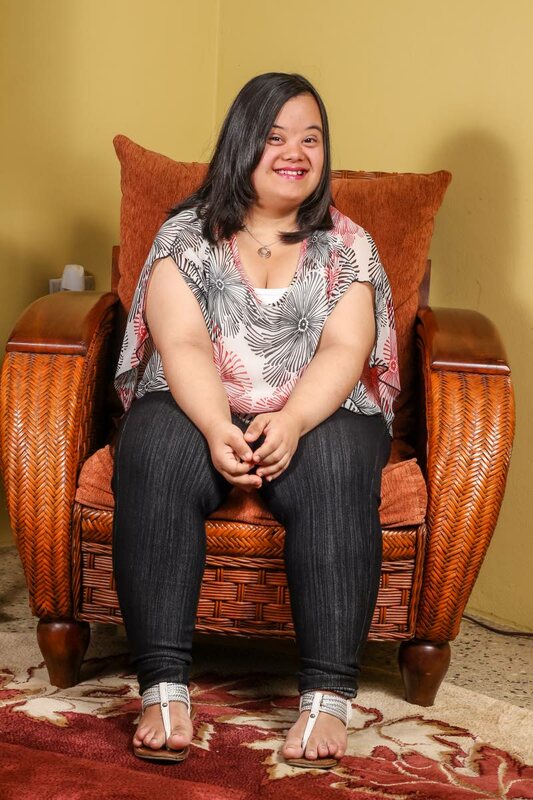 De Souza got the opportunity in 2018 with the assistance of the founder of the Down Syndrome Family Network (DSFN), Glen Niles, and businesswoman Lisa Ghany. Christy De Souza, at work at the Office of the Prime Minister. Photo courtesy the De Souza family. De Souza was initially supposed to be there for three months, but performed well, so her contract kept getting extended. Even though she’s currently waiting on renewal, the OPM is trying to get her registered through the on-the-job training programme, which would put her on a two-year contract instead. The OPM has partnered with the DSFN since 2017 through the organisation’s programme aimed at getting special-needs people jobs, something the ministry was more than willing to support. The ministry is also encouraging others to consider the programme as well. “Our aim is to create an environment in which (everyone) can achieve their greatest potential," said Johnson. De Souza was taught basic office skills, including an introduction to Microsoft Office. She moved through divisions, and was given the chance to see which opportunity was a best fit for her, finally settling on administration. “She’s been part of the training that we normally offer, and she’s part of the social life, participating in a lot of activities. She’s the model employee,” Johnson said. De Souza started her formal education at the Little Flower Montessori School when she was three. It was run by Bunny Stanley, who allowed her to stay on at the school as long as she needed to, as there were no other schools at the time accepting children with Down Syndrome after Montessori level. “Mrs Stanley taught her reading, writing, comprehension, arithmetic and social studies,” De Souza’s mother said. As she got older she was able to assist with the toddlers, and when she turned 18, Stanley offered her a position as assistant trainee. She did this for a number of years before accepting a three-month contract as an office assistant trainee at Pepper Advertising. When she first started working in an office, it was challenging as De Souza had no previous office skills training and had to learn on the job. But she was always eager to learn and welcomed her tasks with optimism. De Souza also likes singing and dancing, and has a fondness for the music of yesteryear. “I like pop, oldies, romance. I love Macy Gray and I love back-in-times songs,” she said. Over the years, her mother explained, she has become engrossed in YouTube music videos, especially boy bands. And although she enjoys working in an office, De Souza has big plans for the future. “I want to be a manager of a solo (artiste) or a boy band!" Niles, of DSFN, said without access to a formal education, gainful employment for people with Down Syndrome is near impossible. “The main thing is that they are not usually accepted into the regular schools, because people believe they are incapable of handling it. Internationally, children with Down Syndrome are included in the school system, with a revised curriculum and assistance from trained teachers. Everything is designed for them to be included." He said there have been some positive changes, with some organisations giving them the opportunity to work. 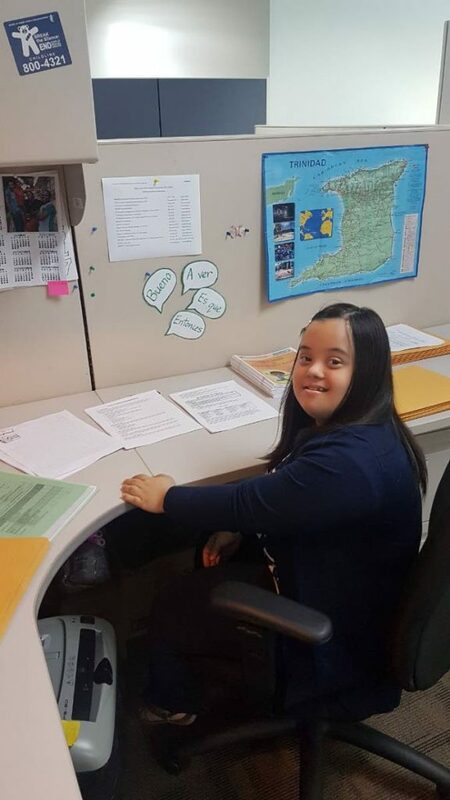 The network is trying to work with the Ministry of Education to provide inclusion in schools, and Niles is hoping that the ministry will send representatives to the UN World Down Syndrome Day Conference to be held at the Hyatt Regency Trinidad tomorrow and the Magdalena Grand, Tobago on Monday. The keynote speaker will be self-advocate, musician and special Olympian Emmanuel Bishop. Reply to "Christy, the model employee"